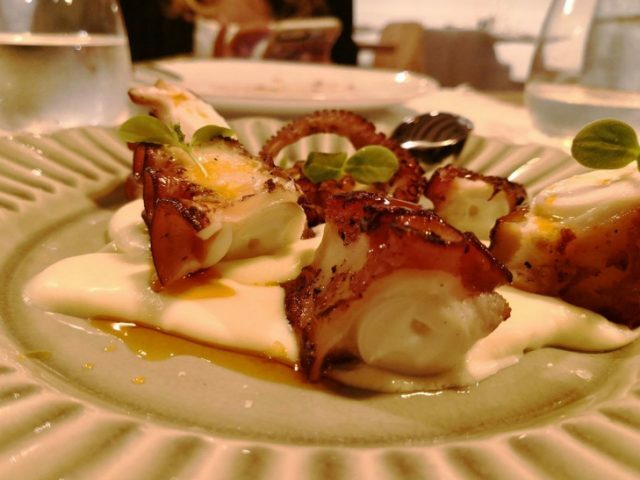 THE idea was as intriguing as it was exciting: To compare one of San Sebastian’s famous three Michelin-starred restaurants with its world-famous tapas district. 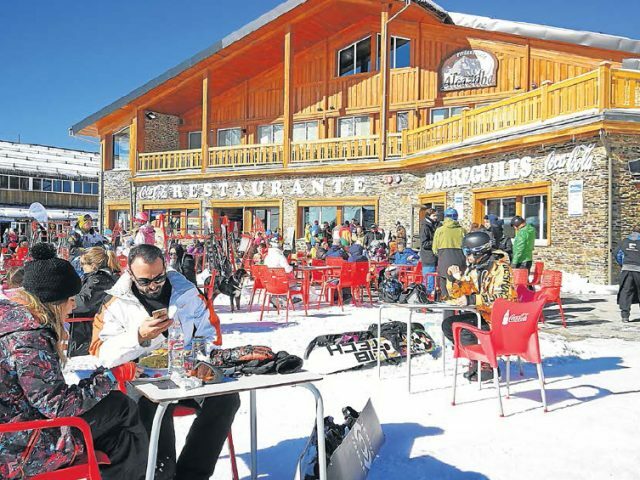 A dedicated gourmet, I had long wanted to experience the delights of what, Lonely Planet has now described as its ‘number one foodie experience’ in the world. 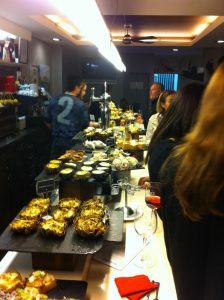 That is the experience of bar-hopping for pintxos – as tapas are called up there – is a right of passage for any serious food writer. 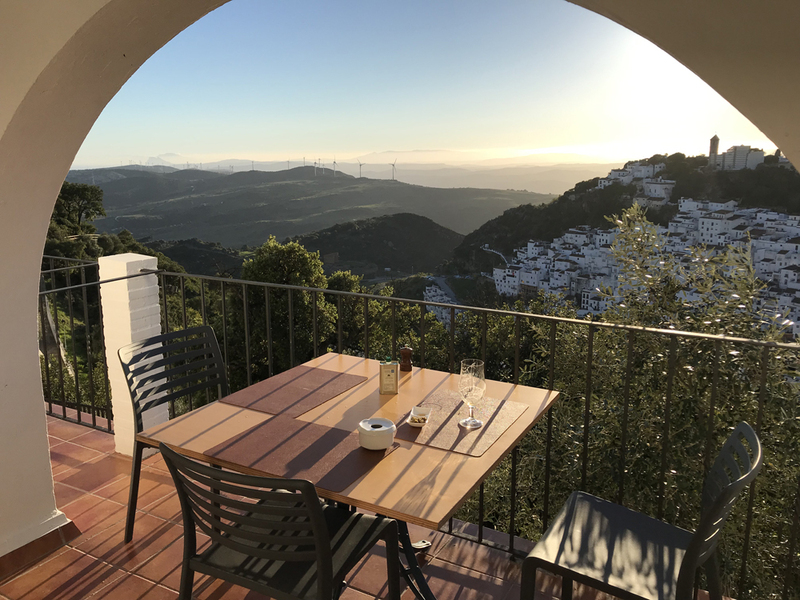 Yet I had only fleetingly visited the town in my early 20s… and again hungover after a stag weekend two decades ago, coincidentally spending an evening bar-hopping with TV presenter Jeremy Clarkson, a fellow journalist by trade, so food was always going to come a distinct second. 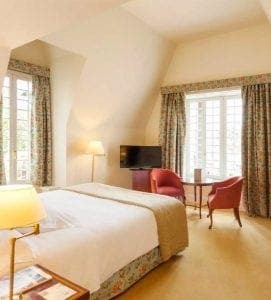 So this trip needed a bit of planning and the perfect place to stay, with Hotel Villa Soro, a charming villa near the centre ticking all the boxes. 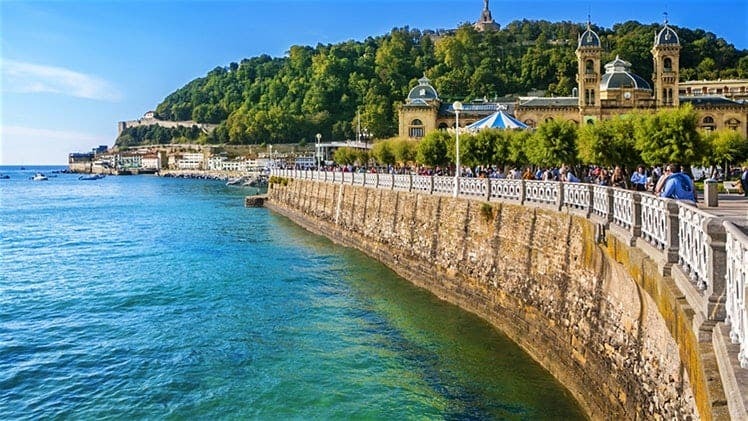 From here, we were just a short walk to the main tapas area of the Basque seaside resort of 185,000 people, the area known as ‘Casco Viejo’. 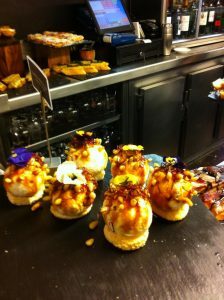 It is perhaps no surprise that the city’s tapas – or pintxos, as they are known locally – are so incredibly good. 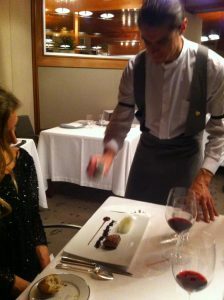 The resort counts on the most Michelin-starred restaurants per capita in Europe — 16 stars in about a 15-mile radius. 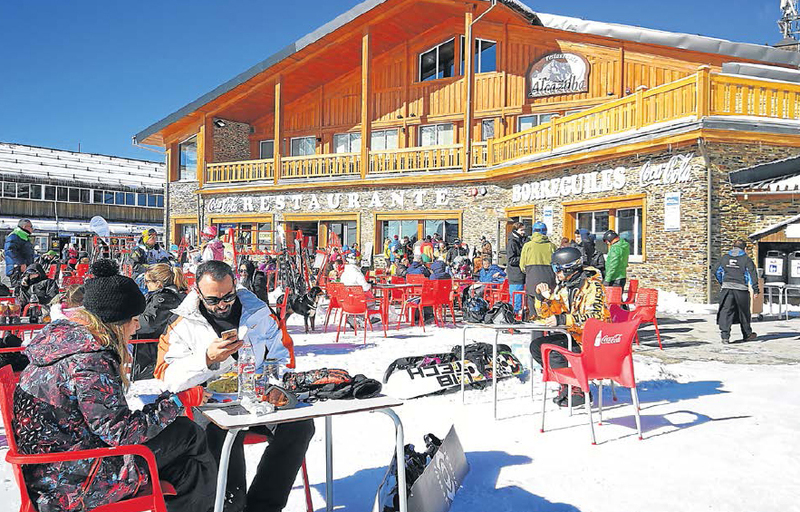 It is something of a religion here and there are clubs that are dedicated entirely to eating, while its chefs, such as Juan Mari Arzak, Pedro Subijana and Eneko Atxa have become household names across Spain. 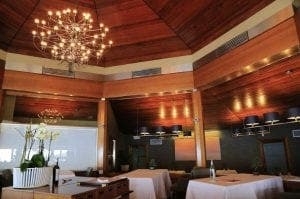 We started out at the historic joint of Akelarre on Friday night, where one of the godfathers of Basque cuisine Pedro Subijana has held down three Michelin stars since 2006. 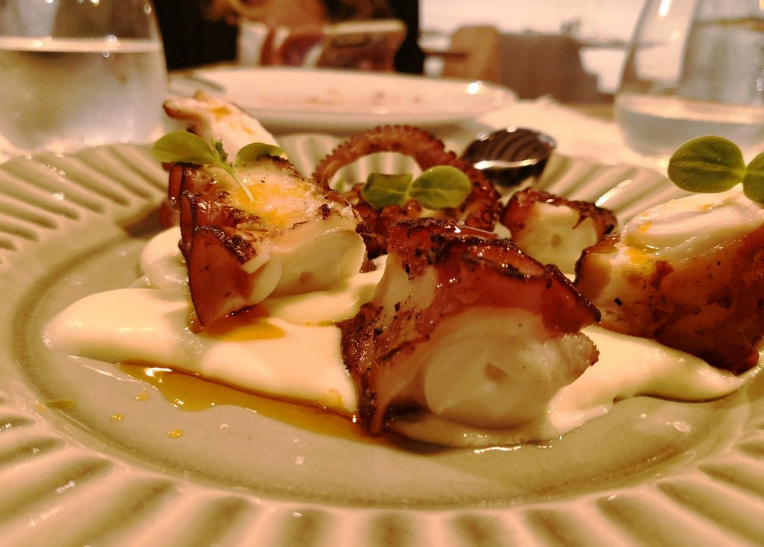 After 20 minutes chatting with the seasoned legend – in which he generously gave us his top ten favourite pintxos (and where to find them) for the next day – he led us through one of the most memorable degustation menus I have ever tried. The 10-course masterclass, washed down with some fine Rioja, was fresh, original and exciting… yet, somehow it lacked something. Perhaps, it was the rather sterile dining room and lack of views at night, which during the day stretch for miles across the sea from its clifftop vantage. Perhaps, it was to do with the slightly over-polished service, which was almost too perfect. It’s hard to say, but we left that night wondering what might come to pass the following day. 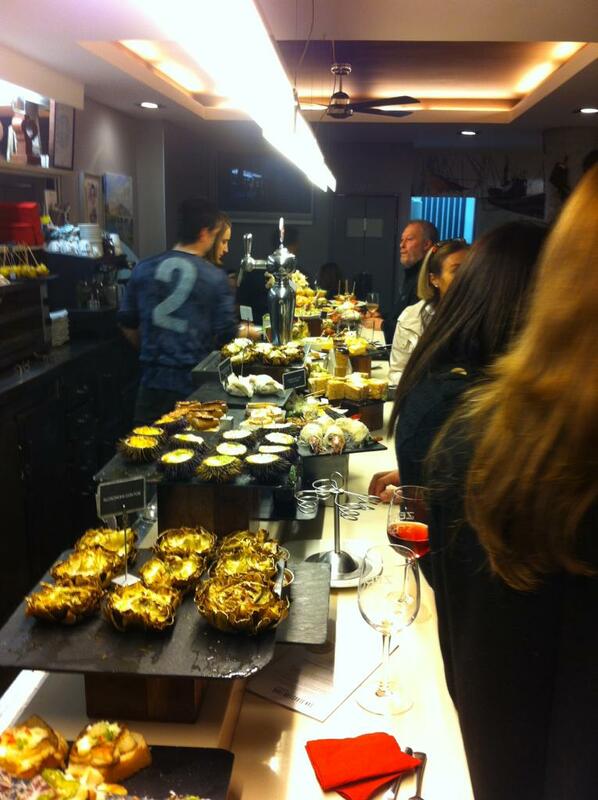 After a good night’s sleep we set off for our pintxo tour, after the most meagre breakfast possible. We zoned in on Calle Fermin Calbeton in the heart of the old town, where Pedro had given us a trio of addresses the night before. 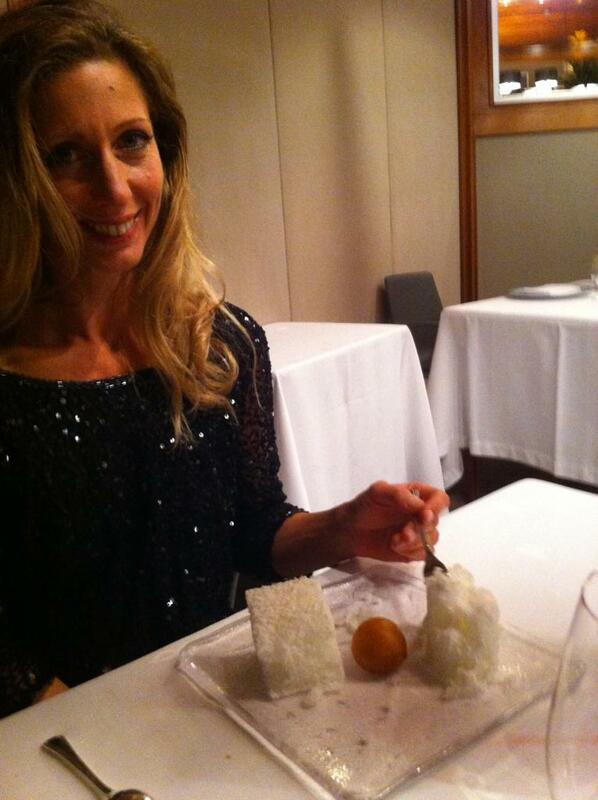 The first, Sport, had the most amazing foie and crab crepe, while the second Borda Berri, had a superb pig’s ear. But we were soon going native and, like a child in a sweetshop, marvelling at the incredible display of delicacies on offer. Every bar had its own unique display of goodies and we literally dived into anywhere that had space at the bar and looked of interest. 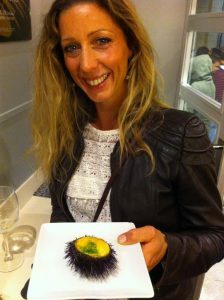 To be fair, literally everything was of interest and in Calles Pescaderia and 31 de Agosto there were so many places to try. 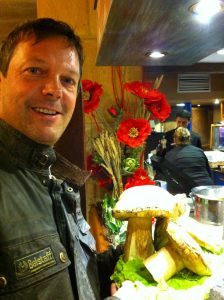 On one bar I found the biggest mushroom I had ever seen, while in another the colours of the array of pintxos almost blinded me. 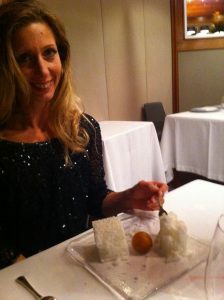 As a golden rule we tried to ask the owner, or at least a waiter, what they recommended we try. And I can honestly say, I have NEVER eaten so well. It was so good in fact, we scrapped plans that night to go to the theatre and tried another 10 or so places. All in all, there are around 40 or 50 superb places to eat pintxos in the old town, while another area nearby around Plaza Txofre had another dozen or so. 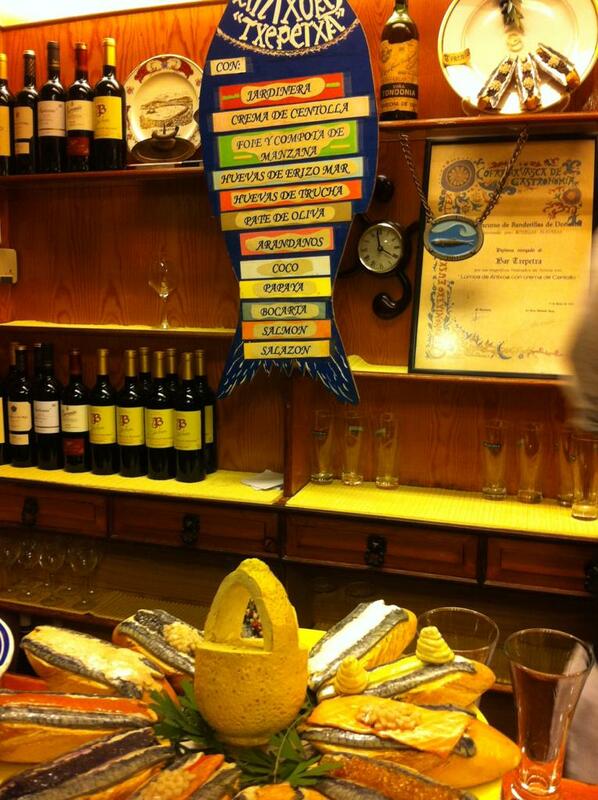 To sum up, San Sebastian is definitively the world’s food capital. 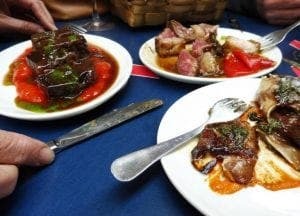 Forget Paris, forget London, forget New York: The Basque Capital of Cooking has the most exciting and varied culinary offering imaginable.